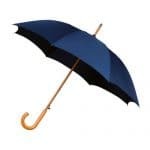 Executive Wood Crook Umbrella. 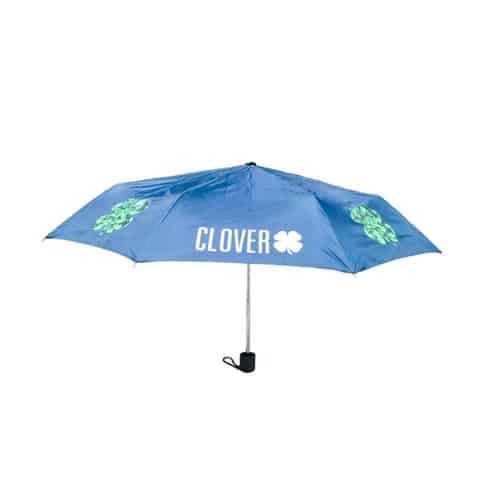 Here’s a high quality, low cost traditional automatic opening walking size umbrella. 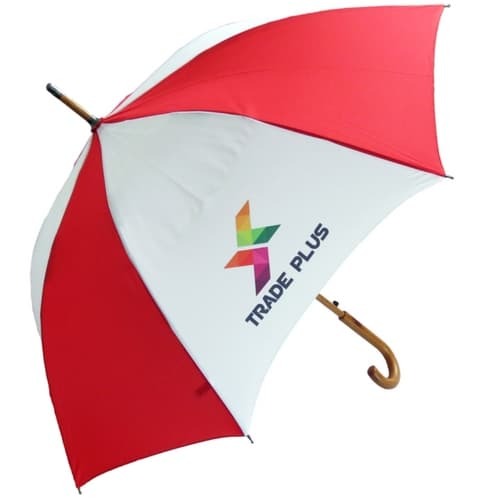 It is supplied with a matching wooden stem, spike and crook handle, fluted steel ribs and an automatic opening function for a quicker opening. 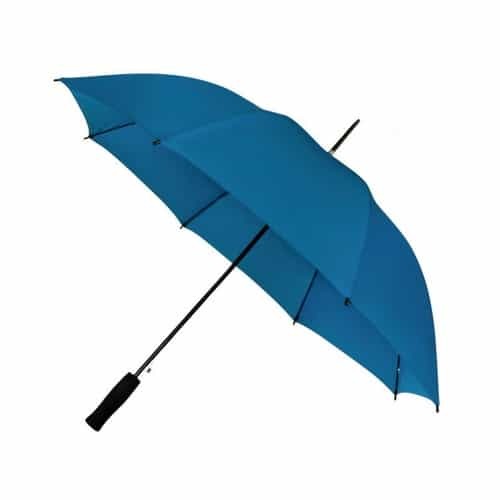 Available in a range of striped or solid canopy colours. 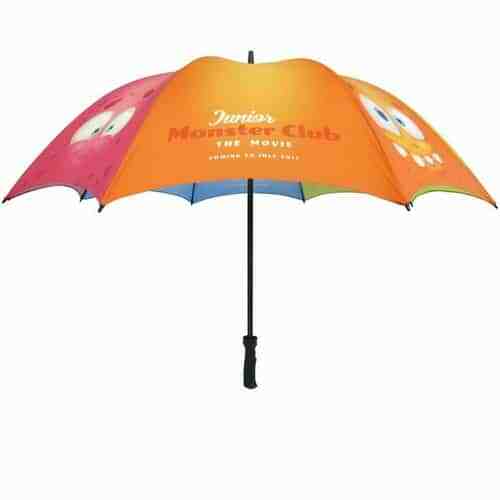 There’s lots of room to add your logo and message to create a stripy wow. 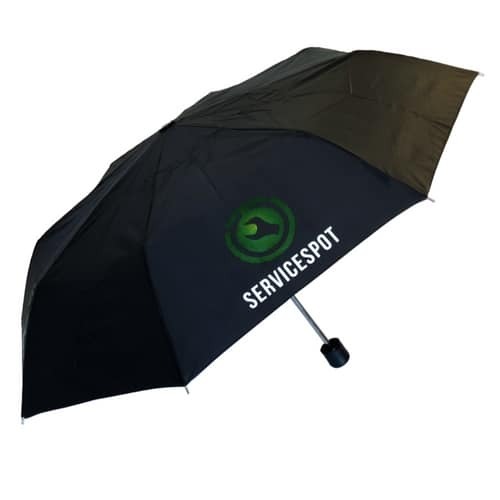 Alternatively, choose one colour and add your logo to the tie wrap to create a more subtle, branded umbrella to give to clients and employees. Specifications: Length 88cm (closed) 103cm (open). Panels: 8; materials: Polyester; Rib length: 59.5cm; Rib material: Fibreglass. Stem diameter: 14mm; Stem material: Wood; Weight: 450g. Branding can be added to the panels, the tie wrap, sleeve. Printing: logo sub and thermal print.